This type of stuck up is caused due to mechanical reasons. Drill cuttings pack off the annular space around drill string. When drill string is run fast and it hits a tight spot or bridge or bottom of the hole. 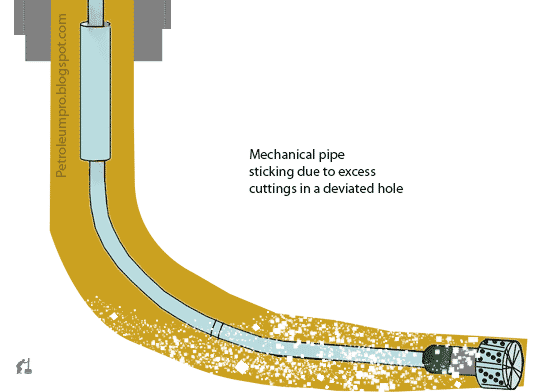 Excess Drill cuttings can be due to caving of weak formation or improper hole cleaning or due to mechanical wear of the borehole wall due to the motion (rotation or reciprocation) of drill string. Tight spots are due to drilling undergauged hole due to bit wear.Tight spots are identified while pulling out as extra pull or while running in as abrupt decrease in hookload.Tight spots are regularly reamed after drilling few stands to prevent mechanical sticking. Mechanical sticking can be released in the same as differential sticking. 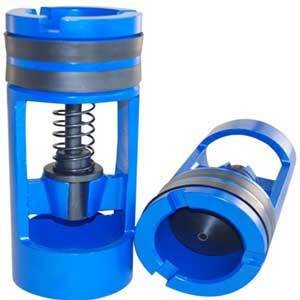 Working on drill string either by trying to rotate, giving extra pull or activating drilling jar. Back off operation is always used as the last resort.